There is no cost/charge to participate in this event and all are welcome to participate regardless of paying membership dues or not. The dues listed above "levels of service" and are for record keeping, management, communications, equipment upkeep, and outside larp services (Such as exp tracking, character updates, time with staff, etc) and are not required to participate in Last Hope LARP events. Please contact us ahead of time if you are interested in participating at the upcoming LARP event as a no-cost option, listed below. 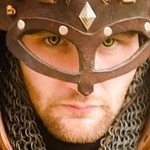 - Pre-Reg/Day Of LARP helper/Spectator Role: Free entry, 0 exp earned per day (unless pre-approved), limited equipment/skill/non-combat NPC role entry, must be staff approved. Please contact us ahead of time if you know you are looking to attend as a spectator. This is a great role for helpers and supporters of the larp who are not interested in membership dues/services but want to participate and is also a great option for newcomers looking to see what larp is all about. Click here to pay membership dues ahead of time! Click here to sign up for and pre-register for the event! Players will NOT be provided meals at this event. We will NOT be providing feastware; please make sure you bring feastware! - There is tent camping space available at this event off to the side by the parking area away from the main game area for Saturday evening. - We will be renting a port-a-potty specifically for this event so that players can have access to a bathroom. There will also be a small overflow bathroom available near the house. FOR EMERGENCIES ONLY. - A single campfire is allowed at the main pavilion of the main game area but nowhere else. This will be a community fire. - There is running water onsite, but please plan on bringing your own. - There is electricity onsite but it will not be at the main game area. Please limit its need/use as this is a private residence property. Please keep it to emergencies only and plan on bringing extension cords if you absolutely need it. - The main registration area will be in the parking area near the camping/out of game area. - Parking and Camping will be as far removed from the game area as possible... the goal is to have the vehicles and tents not be readily visible from the game area. - The property has a house on it and is a private residence; please be respectful of late night noise and the people living there. - Stay out of the house at all times; there is an overflow bathroom available if necessary but players should use the portable toilet. - There is a pool available to use for players on Saturday evening if they would like to go swimming; bring your own swimming suit and towels. The Saturday night Black Market Faire event will take place entirely during night-time conditions. Arrows and magic must be prepared accordingly with illumination devices. The Market Faire on Sunday will not take place during night-time conditions. This event is in July, so plan accordingly! It will most likely be hot during the day; traditionally late-July events have been very warm. Players setting up market stalls for the event should plan accordingly for sun, wind, and rain conditions as necessary. Make sure to bring BUG SPRAY and SUN BLOCK as needed. There are several NPC roles available during this event. If you are interested in playing an NPC role, please contact us ahead of time to let us know... see below for options. There are NO dedicated monster roles needed for this event. - The "NPC Sign-Up Deadline" is the same cut-off as the pre-reg/dues deadline (by Thursday, 7/12/18) and this will add you to the list to get a more detailed or involved NPC. This gives us time to flesh out a backstory, details, and how your NPC can impact the scenario. You are also required to pay for dues ahead of time via the pre-reg options AND EMAIL US to let us know what kind of NPC you prefer. The staff will then email you back your detailed NPC role before the event, usually a bit after the pre-reg deadline ends. This also gets you on the list for the provided meal. - The "PC Pre-Reg/Dues Deadline" is the week before the event (by Thursday, 7/12/18) and this will place you on the list to get the pre-reg meal and automatically add you to the "Faster Check-In" line, allowing you to register much quicker at the event. - If you have updates to your PC, DO THEM AHEAD OF TIME AND EMAIL US THE CHANGES!!! The deadline for these changes is the same as the Faster Check-In deadline (7/17/18). You cannot do skill updates and the "Faster Check-In" as we prepare your card/bag/wristband/etc early in preparation of your arrival and day-of PCs can wait until after registration is complete for the majority of the players and then, IF WE HAVE TIME, we can update your PC skills. There is no guarantee we can do this at an event due to the registration time needs. Players in Last Hope and other local larps are being invited out to the first part of the day on Saturday which is an out-of-game swap meet. This is FREE and does not require any kind of membership dues to participate. Buy, sell, trade among players in the larp community and get to know each other in a relaxed social environment! Saturday night's event theme is specifically reserved for the seedier, dirtier, and more adult themed part of our game. There WILL be a higher amount of swearing, lewd commentary, suggestive things, and adult themed situations. It is up to the players to decide whether to attend an event with this kind of theme or not. This scenario may not be suitable for all players. We are not going to limit players based on age from attending the scenario as it will still follow our core rules of Last Hope for adult themes, tobacco use, and alcohol use... but anyone under the age of 16 is strongly recommended to be accompanied by an adult. However, there may be certain tents or areas that are marked as 18+ or 21+ and all players will need to respect these boundaries (out-of-game as players... NOT just in-game as characters). However, this event is not a "free for all" to get drunk or push the limits of the rules... but instead allow us to explore the darker part of our game world a bit more. This scenario would be a great time to use your Resources such as Gather Info, Spies, or Black market! CONTEST - These will be martial tournaments. SKILL - These will be gambling and/or game tournaments. More info will be released once the format is finalized. We are hoping to have players sign-up ahead of time with their PCs so we know how to run the tournaments. Both scenarios, the black market faire and the regular market faire, will feature a faire taking place in a settlement or community. For both of these scenarios, any player attempting to "leave the event area" will be subject to mechanics used to determine if they are caught or they get away if they are being pursued. Some skills or abilities may assist in this, but both of these events involve the players best interest being to "relatively keep the peace" lest the nearby off-screen security forces get involved. Players may have a PC/PCs use a Resource skill to make an impact on an event but only if they are planning on attending the upcoming event. Resource Usage for this event needs to be submitted VIA EMAIL no later than midnight on 7/5/18. Information gained from this Resource usage will be available at Check-In at the event; IT IS YOUR RESPONSIBILITY TO ASK FOR THAT INFO! Players should please try to make sure they are going to be in attendance before sending in their Resource usage. On the outskirts of City-State territory lies the settlement of "Haven". This settlement, formerly both the home of the pirates of Oarsmeet and the nomads of Featherfall, is usually quiet. Farmers and colonists who tried to make a living by traveling to start a settlement with these groups have stayed in the area even when those groups and their leaders are long gone. Renamed apparently as a joke, both by farmers looking to start a new life and by those of questionable reputation, this settlement is usually quiet for most of the year. However, the location is an important one to some of the "locals". Periodically, a fairly large group of people from all corners of Mardrun slither out of their homes or hiding places and congregate in a short-term market faire. Farm fields come to life with tents, travelers, merchants, and debauchery. Anyone who is anyone in the underworld or black market of Mardrun attends or is represented at these affairs. Short lived and always a secret before they spring up, these "black market faires" are legal enough to avoid a heavy hand from the City-State of Newhope but a closer look reveals the many dealings that go on here. Anything from legitimate merchants, to thug bands, to smuggling wares could be expected at this kind of meet-up. Who knows what one might learn or experience at the black market faire... but one thing is for certain. Attendees had best watch their coin purses, their luck, and their backs should they be brave (or foolish) enough to make an appearance. After the City-State of Newhope settled in with their recent purchase of Clan Nightriver territory, the focus of Newhope has mostly been inward. With growth, expansion, and changes to the old colony model also come challenges. With the recent change in the Council of the City-State leaving the leadership of Newhope in far fewer hands, worry has begun to spread throughout Newhope territories. This, along with the heavy expectation of the Ulven clans for all peoples of Mardrun to get involved in the war against the mordok, has also helped expand this worry. In an effort to draw attention to the successes of the City-State, and perhaps also draw attention away from some of the recent scandals, the Council of Newhope has pushed to host this year's major faire. Travelers, merchants, and delegates from all over Mardrun are expected to attend. A public decree has been given that contests of martial ability and games of chance will be sponsored this year, awarding larger prizes than previously seen before at market faires. One can expect that the nobility of Mardrun will either be in attendance, send representation, or will at least be keeping an eye on any major turn of events.